Below you will find an update on a selection of our live developments, based on the quarterly reporting for Q4 2017. All projects remain on target to deliver or exceed their projected return on investment. Those clients who have invested in these sites have separately received a more detailed report for each site outlining the status of construction, sales, and finance, complete with photos of the site. To see more information about each project, click here. This project is progressing well and remains on course to exceed the original projected annual return and complete 2 months ahead of schedule. The site is being transformed from a vacant warehouse into two 4 & 5 storey buildings containing 42 residential units and 20,000 square feet of commercial space. Off plan sales are progressing well for both the residential and commercial units and the total value of agreed sales are currently more than £500k over the business plan. Practical completion is expected in April 2018 and the target exit date is August 2018. The target exit date for this project has been extended by 3 months due to delays in the commencement of the groundworks, but as a Mezzanine Loan investment the projected return on investment remains on target. The scheme has full planning consent in place for the demolition of industrial buildings and development of 56 residential units. The 16 affordable units have been sold for £4.2 million, above the business plan. The target exit date is March 2019. This project is currently progressing on time and budget, in accordance with the business plan. The investment is structured as Equity. The development consists of 45 private residential units, 15 affordable, and 3 commercial units, in place of the previous warehouse buildings. The developer has already received interest in the commercial units and has instructed agents to begin marketing the residential units to the domestic market, with a sales brochure being released soon. The target exit date is May 2019. This project is still at a relatively early stage but is currently on course to the deliver the projected return within the target investment term. The development has planning consent for a five-storey, mixed-use commercial and residential property, comprised of offices on the ground level and 24 residential units on the upper floors. The soft strip was completed at the end of 2017, and demolition has begun. Off-plan sales are due to begin after summer 2018. The target exit date remains June 2019. The scheme includes the redevelopment of an old police station and new build of a 3-storey building in the heart of Norbury, London. 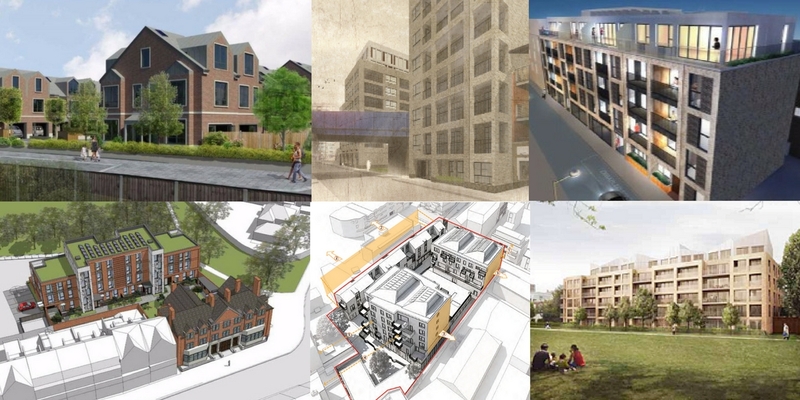 The site has planning consent for 22 residential units (15 private and 7 shared ownership) and commercial space. Demolition of the old police station was completed last year and construction is proceeding as planned. Due to some changes to the specification, the gross development value of the scheme has been revalued up by £755,000. An offer has been accepted for the affordable units, above the business plan and off-plan sales are due to commence this quarter. The target exit date remains May 2019. The site of the derelict milk processing factory was acquired in October 2017 and demolition is expected to be completed by the end of first quarter 2018. An offer has already been received for the 10 affordable units and off-plan sales for the 39 private residential units will begin later this year. The commercial unit has been pre-let to the Co-op for 15 years. The target exit date remains January 2020.